Not everyone is able or willing to do a sale by owner and not use a real estate agent for either the seller, buyer or both. While this is uncommon in the USA (though absolutely legal), it is a normal way of selling properties in many countries where agents are not easily accessible. If you are ready to do a FSBO, continue reading and please understand that we do not provide legal or real estate advice and you should verify any information we give with proven experts in the FSBO, real estate, and legal industries. 1) How you need to advertise your property for sale (wait and see is not going to work). 2) How you are going to facilitate the contractual real estate documents once you have found a buyer (making sure your sale is legal is EXTREMELY important to avoid legal drama). The Internet has become the most important tool for FSBO around the world, especially in smaller countries like island countries in the South Pacific and the Caribbean. Motivated owners who prefer to handle the transaction themselves and save money on commission can market their property online at a fraction of the cost it used to be. There are many options to market online. You can have your own website or have your property be listed on real estate directories like ours. The truth is developing a website and optimizing it so that it ranks high on search engine is very expensive, takes a very long time and can cost you as much as a real estate agent commission. Advertising on directories is your key to success for FSBO. There are different types of directories; some only cater to one country or one type of listing. To increase your chances you are better offer advertising on a professional website which advertise in every country for different types of properties. By doing so, you increase the online exposure of your property therefore increasing your chance to sell it quickly. You also want to be listed on a professionally designed website. Choosing a low rated site will reflect poorly on your property and will have a negative impact on your sales efforts. It may even cause the prospective buyers to think less of your listing. As you know first impressions are crucial so make sure your property is listed on a site that promotes and uplift your property. This is true for primary single family home, multiplexes, commercial buildings or undeveloped land. Now that you are listed on a professional real estate directory, what should you do next? First and foremost you should make sure you utilize every tools and options the directory is offering as part of your membership. 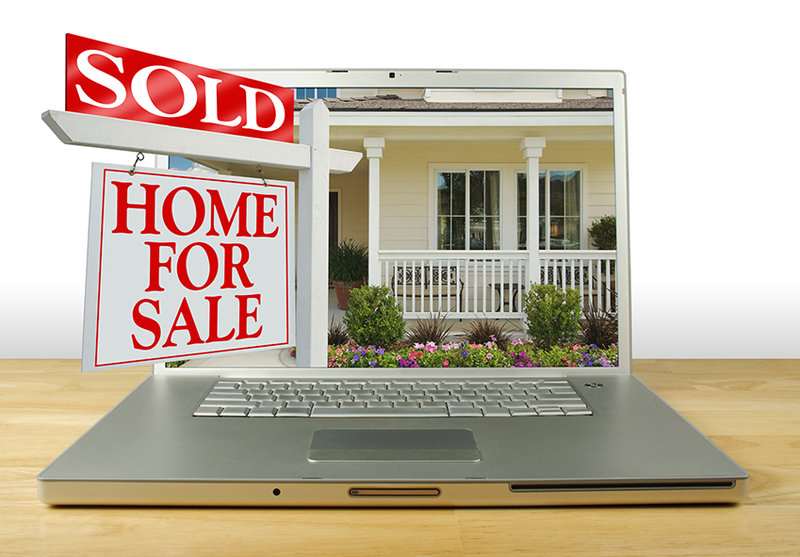 For instance, on Real Estate Online Search we allow for 25 images per listing! That is a lot of photos but we encourage you to take photos of your property and upload them. People are visual by nature; before they even read the description of your listing, they will look at the photographs first. If you can have them done professionally, that is great. If you want to take your photos, make sure to take photos of the best parts of your house or land. Rename the photos properly with the photo editor that came with your computer. For instance instead of photo123.jpg rename it homesanfrancisco.jpg if your home is in San Francisco. This will help with the optimization of your specific listing and increase its chances of being found on page one of Google and other major search engines. There are services already available in the USA that provide complete sale and purchase document packages which includes every document necessary for each state. If you are located in another country, you will need to inquire with a local agent (asking questions is free), an attorney who does real estate transactions (often times much cheaper than a realtor's commission), and the government agency that processes real estate sale and purchase. When selling a property like your home, having legal documentation in placed and properly filled out is extremely important so that you can eliminate any future legal issues with the buyers. Real estate forms vary per country and even per state within a country (like the USA). Even though you may doing a FSBO, we will need to hire an attorney to insure that your documentation for the sale of your property is 100% legal. In some countries it is even required by law that you use either an attorney, a licensed real estate agent or an escrow company to finalize the sale of your property. Make sure to inquire with the proper agencies. Doing a FSBO transactions can be done successfully is you make sure you are aware of what the different steps and documents are required by law in the country where you listing is located. Even though you may be living in Australia but are selling a vacation home in the USA, you will have to follow the real estate regulations from the USA. The same is true anywhere in the world.